We just love it. 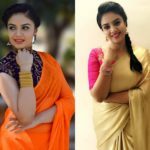 Besides spotting flawless models and star studded ramp walks, it is a place where one can get the complete picture of where fashion is heading. You will also get an idea on which trend will soon be coming out in full swing and what will take an exit. Thus, you know where you should keep an eye on the coming days if you like to stay in the style game. 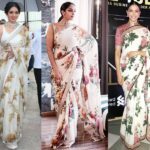 Having said all these, the whole lots of ensembles from reputed designers that see the limelight on the big fashion shows is not practical to implement in every day wear. 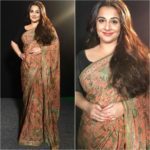 That full blown ruffle dress or the dramatic lehengas might look regal on the models, but it’s just not possible to pull it off on a normal day. That’s why we direct our attention to few elite designers whose collections inspire us to embrace them even on our casual days. 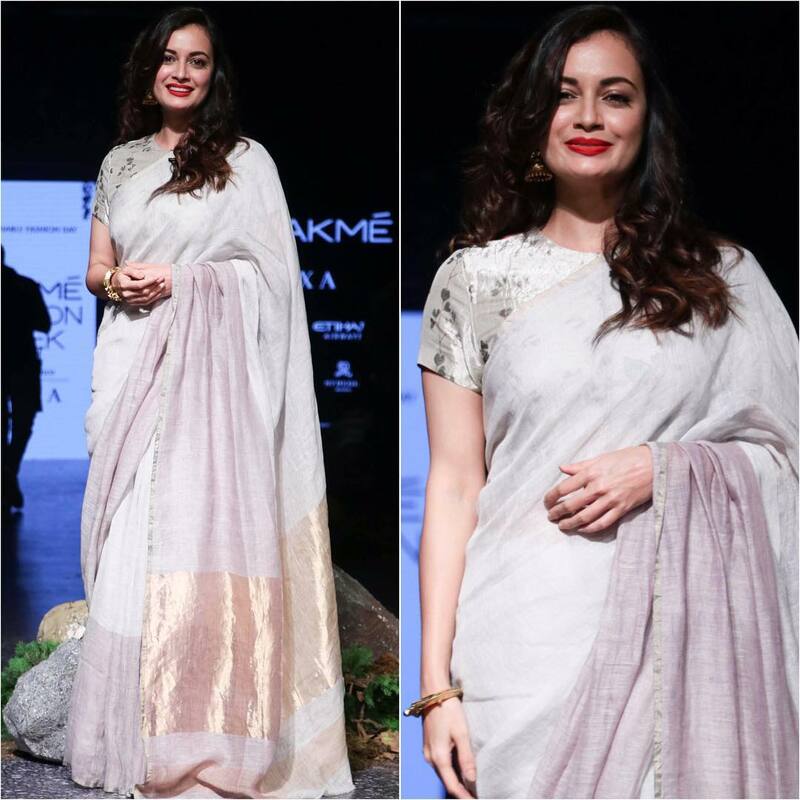 This time our interest is piqued by the designer Anavila and her sustainable Autumn/Winter range ‘Blur’ showcased on the recently held Lakme Fashion Week 2017. 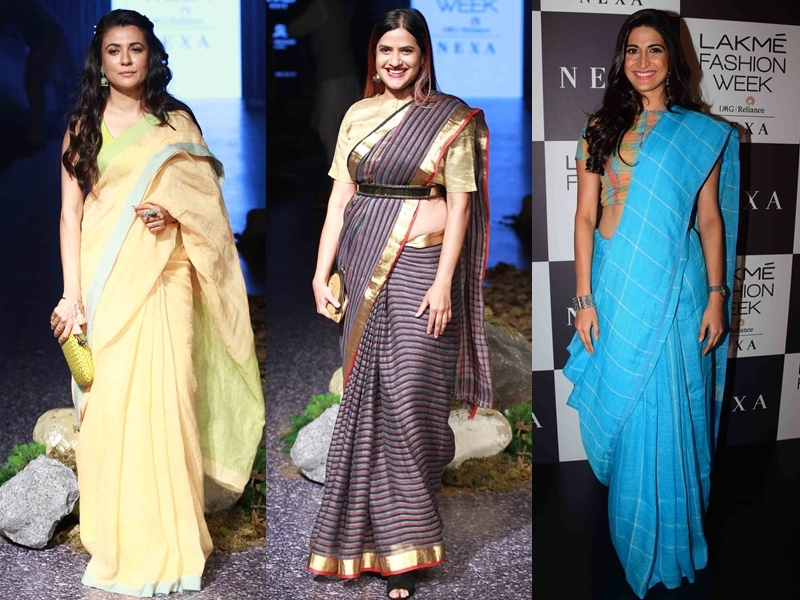 Many Bollywood style icons showed their support during the event wearing the dreamy sarees from the designer. 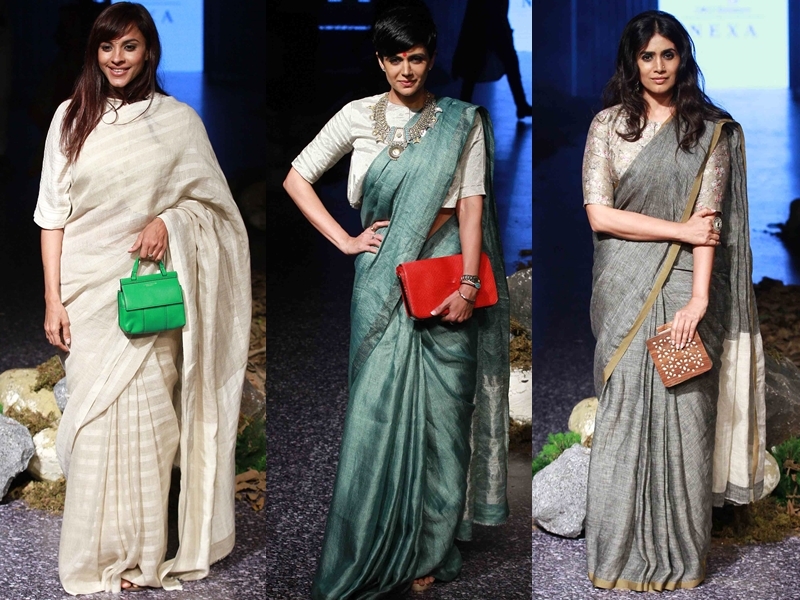 The color palette of the outfits reminded the grey skies and dark clouds, which was given the due attention with vivid accessories in the form of clutch box and sling bags. 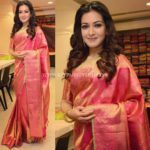 You can also catch few stand out draping styles and subtle make up tricks to try with deep blue, grey and off-white sarees here. 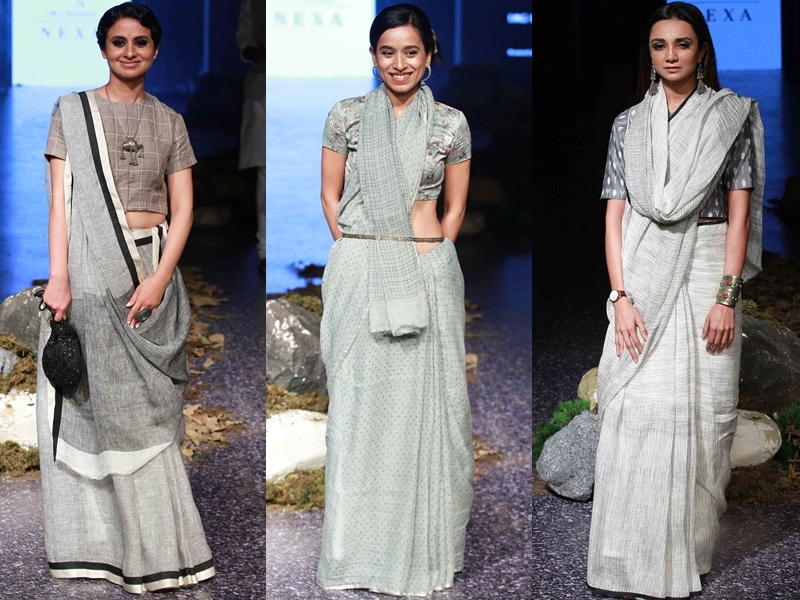 Well..we are completely smitten by this compelling saree collection from Anavila. How about you? 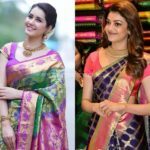 Previous articleWe are So Jealous of Kajal Aggarwal’s Latest Saree Style!